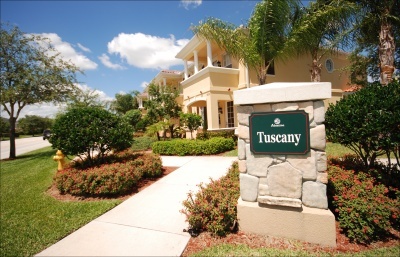 Tuscany is a charming community within Abacoa, located in Jupiter. There are a total of 453 homes and townhomes available in six different floor plans, with square footages ranging from 1305 to 3501 square feet. Single family homes vary from 2 bedroom to 5 bedrooms, while townhomes are offered in three- or four-bedroom floor plans and 1800 square feet. Tuscany is conveniently located within close proximity to Town Center, Roger Dean Stadium, the Gardens Mall, and everything both Jupiter and Palm Beach Gardens has to offer.